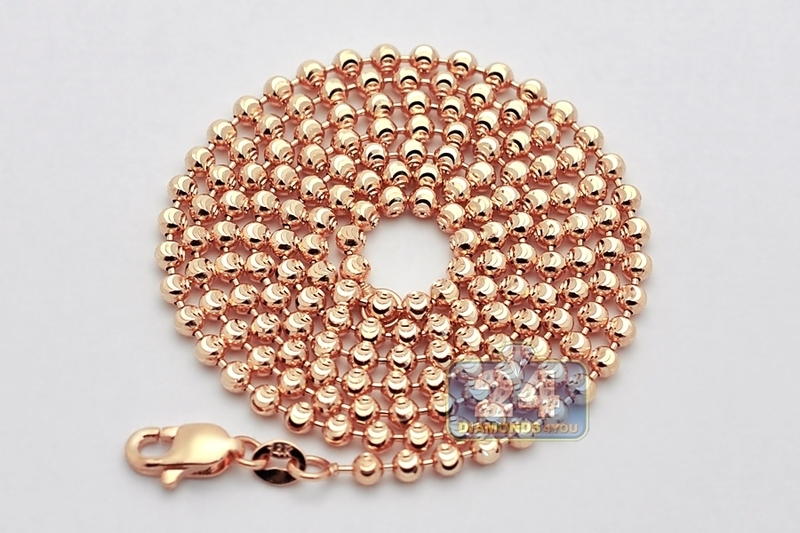 Our army moon cut ball chain is an indispensable piece that commands attention! 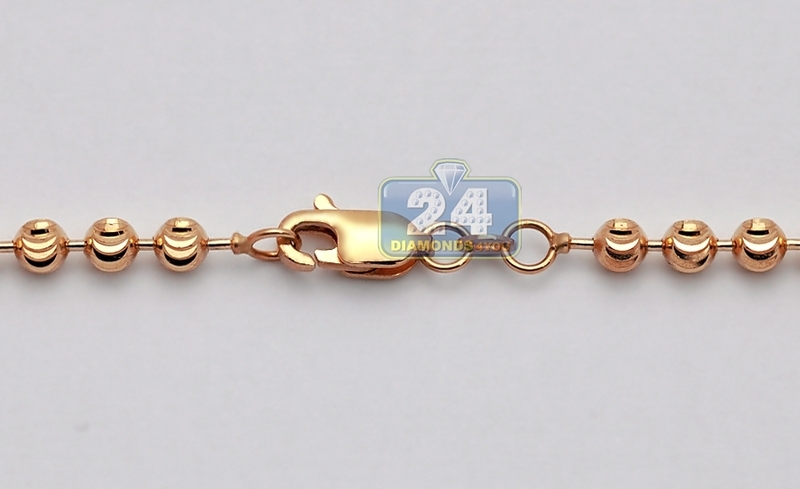 It is expertly handcrafted in unique 14k rose gold, and features moon cut design for ultra shimmering finish! 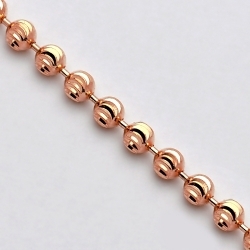 The rose gold necklace measures 3 mm in width, and comes in length of 22, 24, 26, 28 or 30 inches. It's also closed by a comfortable lobster claw clasp. This men's gold bead necklace looks handsome alone as well as paired with a pendant!